Experience Described As: Experience varies per dose. We always suggest to go slow with 1 drop at a time under the tongue and let it absorb sublingually. The very first drop may cause euphoria. 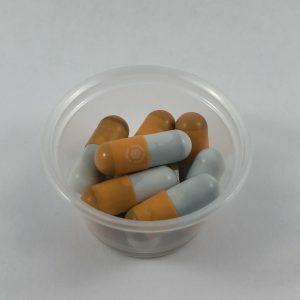 The effects may stabilize when used as a regimen orally. There is no limit to how much you can put on topically. Effective For: This is a multi-faceted medicine. 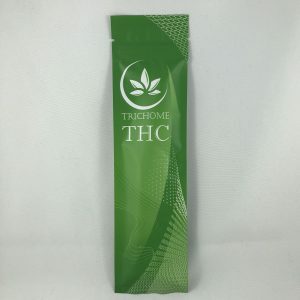 When taking orally, this product has been shown to relieve spasms, seizures, inflammation, anxiety, and nausea. Topically, It works amazingly well for almost all skin conditions, like Eczema, Psoriasis, Skin Sores, etc. It can be put directly into the ear for treating an ear ache. Used as a massage oil for Aching Muscles, Sore Joints, etc. It reduces the duration of a Cold Sore. Rub it on your temples to ease a headache. Orally and topically, Hugz Hemp Oil may be effective for treating signs and symptoms associated with some cancer growths. Related Products: Snake Bites and Snake Oil. 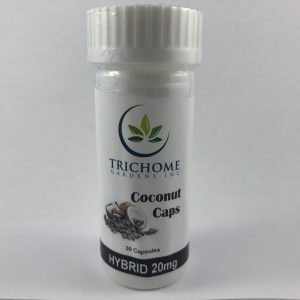 20mg THC Hybrid, Indica and Sativa caps. 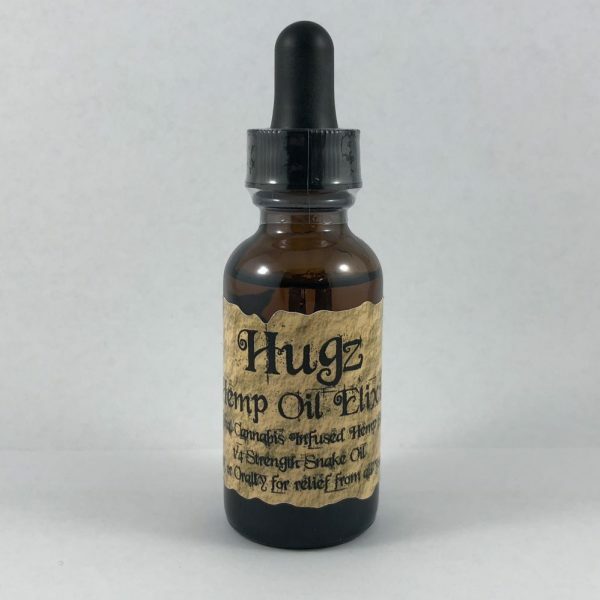 Product Details: Hugz Hemp Oil consists of a very high quality Hemp Seed Oil, and a very pure Amber Cannabis Honey Oil. It is just like the Snake Oil, but at a lower concentration of the Cannabis Honey Oil. There is 20 mg of Honey Oil in every 1 ml of the Hemp Seed Oil. 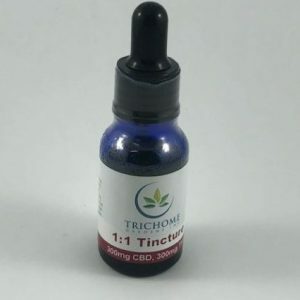 This still gives the synergistic combination of the healthy Hemp Seed Oil with the healing properties of the Cannabis Oil, but with less Honey Oil, it is less expensive and can be used more liberally.